Celebrate BenCab’s 50 Creative Years together with Samsung and Galaxy Note5 BenCab Limited Edition Smartphone. A masterpiece created by the National artist himself, limited to just a few pieces. MANILA, Philippines – National Artist for Visual Arts Benedicto “BenCab” Cabrera is celebrating his 50th year as one of the country’s most renowned artists. As part of the brand’s movement to support the arts, Samsung recently opened an interactive exhibit at the Yuchengco Museum to celebrate the National Artist’s creative milestone. To coincide with the event, Samsung also unveiled the Galaxy Note5 BenCab Limited Edition, of which only 1,000 units will be made available in the market. “BenCab in Two Movements” captures the National Artist’s transformational, collaborative spirit and his great willingness to push his craft to the next frontier. The one-of-a-kind exhibit captures how art and technology are intertwined. The show allows visitors to Yuchengco Museum to dance along to BenCab’s collaborator, Polish choreographer Paulina Wycichowska, whose movements are captured in 40 sketches in the 2006 work Studies of Dance Movements. The exhibit uses customized Samsung Smart TV and mobile apps to enhance the visitors’ interactive experience. Samsung also unveiled the Galaxy Note5 BenCab Limited Edition—a fine marriage between art and technology. Only 1,000 units will be made available in the market. 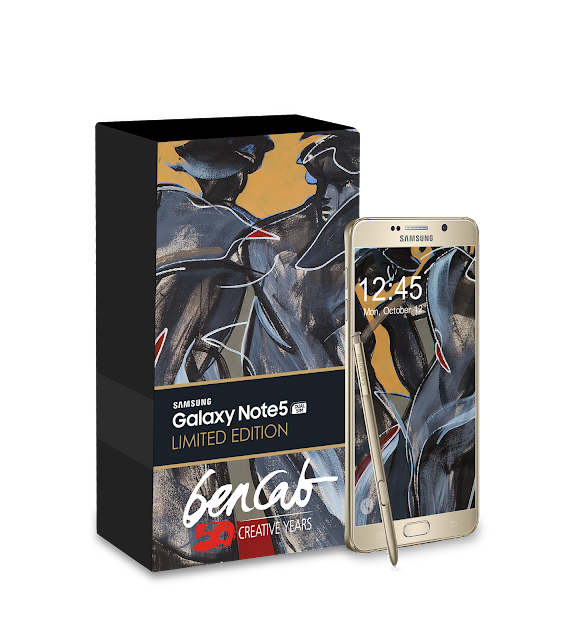 The limited-edition phablet comes in the Gold Platinum Galaxy Note5 variant with three pre-loaded Samsung art applications, exclusive BenCab artwork wallpapers, a commemorative BenCab in Two Movements micro art book, a special protective case featuring BenCab’s 2007 work Dance Interpretation, a certificate of authenticity, and unique serial number engraving at the back of the device. Log on to ZALORA (zlrph.com/samsung-bencab) or go to the select Samsung Experience Store to purchase the stunning Galaxy Note5 BenCab Limited Edition smartphone. Visit www.nextisnow.ph for more details.